A color seen on a stoplight, an item you use to eliminate the darkness. What comic book character is it? 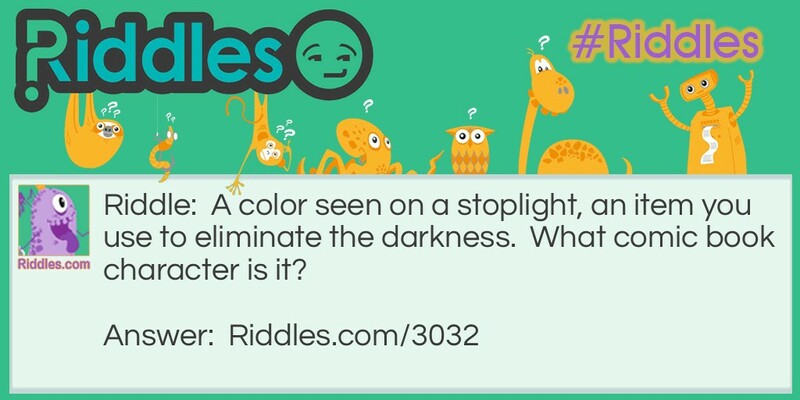 Comic 2 Riddle Meme with riddle and answer page link.